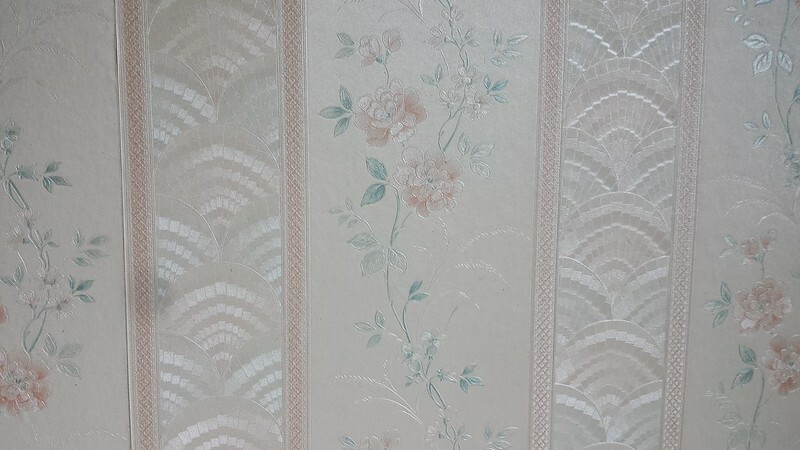 It doesn't photograph especially well, but hopefully the photo below gives an idea as to the textural quality of the wallaper in Grandma House. It is SHINY. The wallpaper on the living room is all the floral design. This is the wallpaper in the dining room. The wallpaper in the hallway is entirely the fan design. 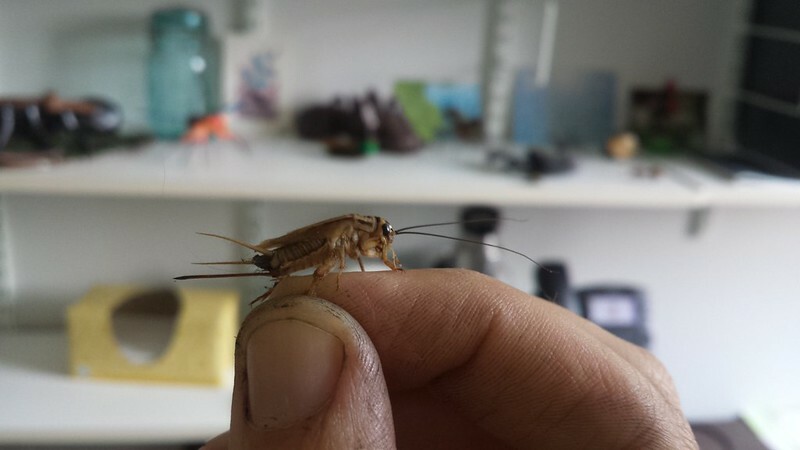 Found this cricket in my office one morning, waiting for me. It could be either an escaped cricket from the lizard feeding space (more likely) or someone who came in from outside. 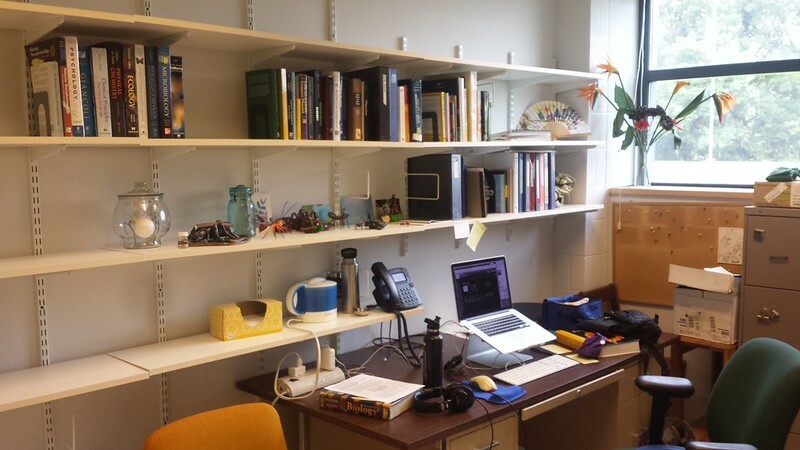 A slightly better view of my office. So many shelves. The geekosphere is up and running again. It has been a while since the geekosphere has seen the light of day. Encountered this when I returned from the brevet. Emma got slightly more plant than she'd bargained for, I suspect. At least it wasn't a one of a kind pot! How do you get the cricket to get on you and hold still like that? There is a cricket at my job site that chips all morning long and I would love to hold it but it's so wily. 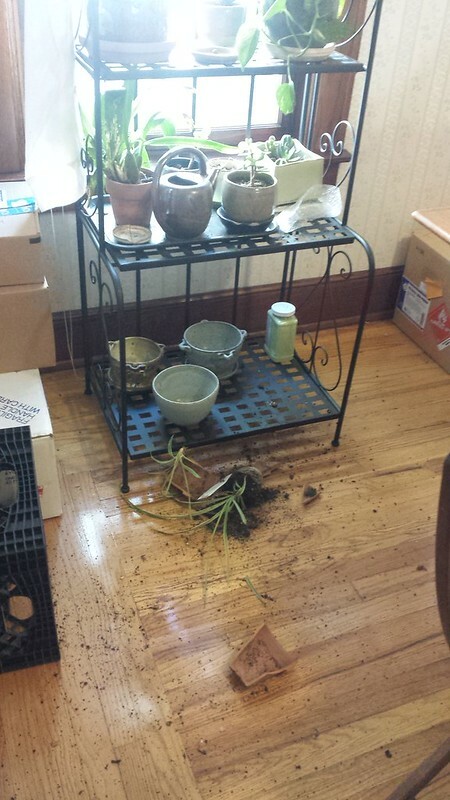 Yeah, I was pretty relieved to not have another one-of-a-kind plant pot destroyed. Luna, the dog in Texas, was the worst when it came to destroying my handmade ceramics. I can come to terms with the occasional collateral, but she got some form of intense enjoyment from destroying plants in pots. Do wild crickets out there look like that? All the ones we have are pure black. I don't know yet what the wild crickets here look like, heh. But I think they do vary in color.